Konnichiwa ... Set yourself a calendar reminder for the 21st IAPBT Hamamatsu Tournament to be held in Hamamatsu City on May 25 and 26 2019. It is with much pleasure that we announce our upcoming 18th APTTA Bi-Annual Convention to be held in Melbourne during October 2019, hosted by the Piano Tuners & Technicians Guild of Victoria Inc. The home of qualified and responsible professionals since 1984. • The APTTA is Australia's foremost source of expertise in piano servicing, technology, knowledge and resources for both our registered members and for you and your piano. Over 300 registered and qualified piano technicians are members of the APTTA and that means by choosing one, you can be confident that the level of services, expertise and integrity are of the highest standard and are governed by the principles of the Association Committee. • The over-arching mission of the APTTA is to promote the highest possible standards of piano service by providing members with opportunities for professional development and by recognizing and improving technical competence through regular practical examinations. Additionally, the APTTA mission statement reaffirms its commitment to you - piano owners and users - and invites you to use the professional services of the association. • Rigorous technical examinations set by the APTTA are used to ensure that an ARPT – Australian Registered Piano Technician – has the credentials and technical skills to competently perform normal and complex piano tuning along with servicing and repairs in a method approved by the Association. We encourage you to choose an ARPT to attend to your piano as unqualified tuners may not offer the accredited, professional surety and dedication to your piano. APTTA QUALITY - It's not an act, it's expected ... and it means doing it right every time. The APTTA is currently gathering testimonials from other customers who have used our services. If you would like to contribute your feedback, please use the contact us form to submit your comments. My piano needed some urgent expert attention prior to being used at an important gathering ... I'm so glad I picked qualified Technician. He came out to my house on short notice, assessed the problem, gave me great quote for the repairs and told me how much time he would need to complete the work ... I said it was urgent so he came back the next day to complete the job - perfect ! Greg and Caroline from Nundah, Brisbane. A well cared for piano is a treasure for life. Here are some tips to assist you in getting not only the best results from your piano, but also minimising the need for servicing. The piano is an investment that will bring enjoyment and a wonderful challenge to you and your family for many years. Pianos like most things have a life span. This can vary from only a few years through to approximately 100 years, largely due to the care of the instrument. For this reason it is important to understand the nature of an acoustic piano. ARPT is the recognised qualification of an Australasian Registered Piano Technician. ARPT membership was introduced in 2006 and the qualification is only awarded to technicians who have passed a comprehensive assessment of their skills. Any person wishing to join the Association must pass the ARPT examination to gain full membership. A tuning assessment, good accuracy and stability are required. A practical assessment of regulation and repair skills. 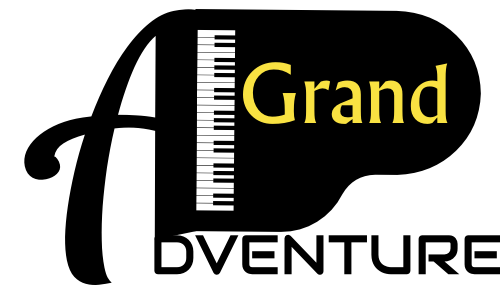 An oral assessment of the technician’s understanding of and approach to a range of grand and upright piano problems. A comprehensive written assessment on a wide range of piano related general knowledge questions.